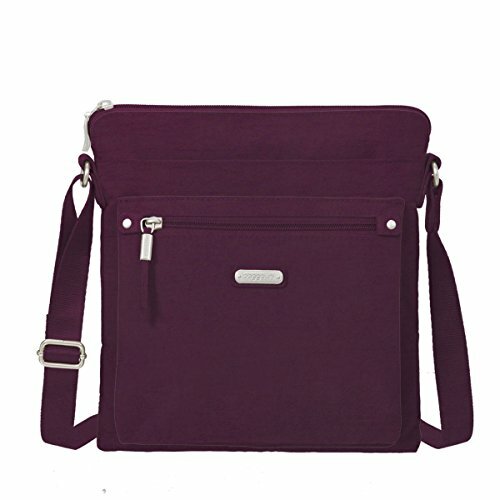 Youll be ready to get up and go at a moments notice with the go bagg with RFID wristlet. This sleek crossbody features the functionality that baggallini is known for with stylish accents like faux leather zipper pulls. Interior organization ensures everything has a place, and a removable RFID wristlet helps keep your information safe. Adjustable Strap. Wristlet interior has 3 card slots.